Trimley viewed towards Felixstowe on 29th May 1977 viewed from the footbridge. The signal box is hidden behind the canopy on the up platform. Today only the down platform is in use. 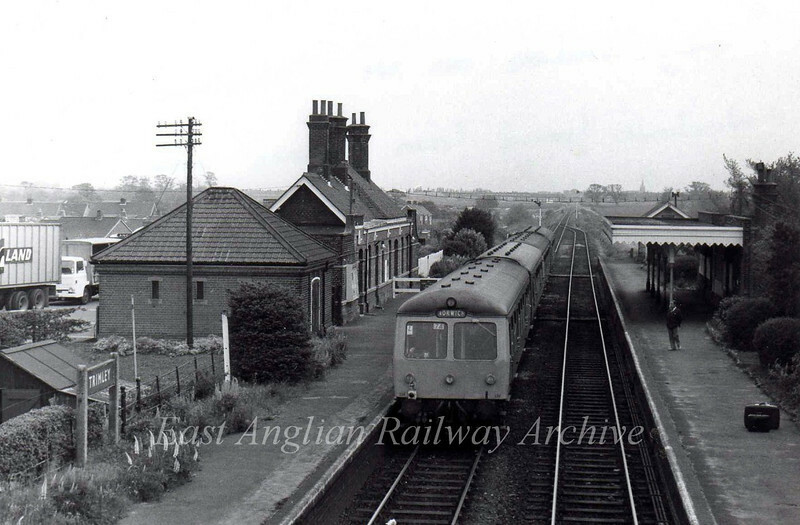 Trimley lost its freight facilities on 13th July 1964.